GolfShoesOnly.com is the Internet’s largest exclusive seller of golf shoes and golf shoe accessories. Together with our sister site, GlobalGolf.com, we offer a complete array of premium golf merchandise with the best customer service in the industry. We are here for you. To find answers to your questions, please review the FAQ page, the policies listed below or call Toll Free 866-272-0099 to speak with one of our friendly and knowledgeable Customer Service Professionals. For support hours and information, please click here. Once a website order is shipped, you will receive a confirmation email along with a tracking number. To track your GolfShoesonly.com shipment, you can visit the following URL www.golfshoesonly.com/secure/orders/tracking.aspx. Enter your order number and email address and the status of your order will display. We are unable to provide tracking numbers for manufacturer drop shipments or APO/FPO shipments via the US Postal Service. Custom orders, such as FootJoy Myjoys, may take up to four weeks to ship. Residential deliveries will be delivered Monday through Saturday. All commercial deliveries will be delivered Monday through Friday. We do not deliver on national holidays and Sundays. All military shipments are shipped via the U.S. Postal Service. All orders are shipped within one business day of payment verification.. We cannot be responsible for delays due to inclement weather. For shipping information, please see the below shipping information for US, Canada and International shipments. If you have not received your shipment, please free feel to call or email our Customer Service Team. Occasionally shoe orders are shipped directly from the manufacturer, referred to as drop shipments. We place orders with manufacturers every business day and typically those orders ship within one-to-two business days. Shipping times vary by origination of shipment. For tracking information on drop shipments, please contact us. Due to manufacturer restrictions, Callaway golf shoes cannot be shipped outside of the United States. This includes all non-US territories as well as Canada. We apologize for this inconvenience. 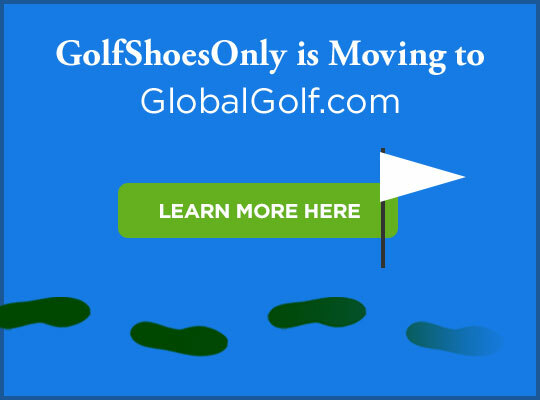 If you are not 100% satisfied with your GolfShoesOnly purchase you can now use our on-line service to return your item(s). You may return any item, with the exception of custom or personalized products, for any reason within 30 days of receipt of the product for a complete refund of the product price. The return shipping and/or pickup costs will be deducted from your merchandise credit or refund, except when the return is due to our error. Items that have been worn or used cannot be returned. Items must be in the same condition as you received them in the original manufacturer’s packaging . All items must include all manufacturer tags, inserts and warranty cards. Items not returned in such fashion will be subject to a $10 restocking fee. Items requiring personalization or customization, such as FootJoy MyJoys, are not eligible for return. If you have an issue with such an item, please call us at 866-272-0099. Please ship items back in the original packaging and wrap the outside of the box and do not write or tape on the original box. Boxes that cannot be reused will be subject to a return service charge. All items will be inspected prior to credit being issued. Credit or refund will only be issued for the price of the product, shipping charges are non-refundable. In the event of a product exchange, you will be responsible for shipping charges (and duties and taxes, if applicable). Shipping charges must be paid prior to shipping and payable via check, money order or credit card. Refunds will be issued within 5-7 days of receipt and inspection of the items. If you paid for your order with a gift certificate and or credit card or PayPal combination the refund will be credited to the gift certificate first and balance will then be refunded to the credit card or PayPal account. All refunds will be applied to the original form of payment. For returns from outside the continental US, you may use our on-line returns center but you are not eligible for a FedEx shipping label. You are responsible for choosing an international delivery service (not expedited) and paying any shipping cost. You will be credited for your shipping cost if the return was due to a GolfShoesOnly error. Shipping charges for returned items that are not a result of GolfShoesOnly error will not be refunded. Please be sure to send a copy of your shipping charges with your package. Refunds will be issued within 5-7 days of receipt and inspection of the items. All refunds will be issued in US currency. If you paid for your order with a gift certificate and or credit card or PayPal combination the refund will be credited to the gift certificate first and balance will then be refunded to the credit card or PayPal account. All refunds will be applied to the original form of payment. If a free shipping or similar promotion was applied to a prior order, the amount of that promotion will be deducted from the amount refunded to the customer for any returned items. This excludes those returns that result from the error of GolfShoesOnly or product exchanges. FedEx drop off charge $7.99 (savings of $4.00 on a $11.99 average) using our FedEx label. Residential deliveries will be delivered Monday through Saturday. All commercial deliveries will be delivered Monday through Friday. We do not deliver on national holidays and Sundays. All military shipments are shipped via the U.S. Postal Service. All orders are shipped within one business day of payment verification. Expected delivery dates vary depending upon method of shipment and shipment location. Shipments within the Continental United States shipped via Economy selection cost $6.99. Shipments within the Continental United States shipped via Ground selection cost $9.99. Next Day: Delivered next business day to most US cities. If order is placed on a Monday before 12 PM EST, the order will be delivered Tuesday. If ordered on a Monday after 12 PM EST, the order will be delivered Wednesday. If order is placed on a Thursday before 12 PM EST, the order will be delivered Friday. If ordered on a Thursday after 12 PM EST, the order will be delivered the following Monday. 2 Day: Delivered in 2 business days to most US cities. If order is placed on a Monday before 12 PM EST, the order will be delivered Wednesday. If ordered on a Monday after 12 PM EST, the order will be delivered Thursday. If order is placed on a Wednesday before 12 PM EST, the order will be delivered Friday. If ordered on a Wednesday after 12 PM EST, the order will be delivered the following Monday. 3 Day: Delivery by the third business day to the Continental US only. If order is placed on a Monday before 12 PM EST, the order will be delivered Thursday. If ordered on a Monday after 12 PM EST, the order will be delivered Friday. If order is placed on a Tuesday before 12 PM EST, the order will be delivered Friday. If ordered on a Tuesday after 12 PM EST, the order will be delivered the following Monday. Expedited orders are not delivered on Saturdays. Orders for expedited service must be processed by 12 PM EST to be shipped the same business day. We cannot accommodate requests for expedited service for orders paid via money order, check or Paypal e-check. We ship to Military APO/FPO addresses, but only via US Postal Service. Expedited shipments are not available. Delivery times to a military address generally ranges from 10-to-30 days. Claims for lost delivery must be filed with the US Postal Service. Orders to Canada are only shipped via Worldwide Express and are typically delivered within two to three business days after leaving our facility. Manufacturer drop shipments will take longer. Canadian orders are subject to Canadian sales tax (both GST and PST) as well as any applicable duties and fees. Please contact your local customs office for details. Customers must pay these charges to carrier upon delivery. Shipping charges to canada are $29.99. International orders are subject to duties and taxes which are levied once a package reaches a specific destination. You may be subject to these and other charges. They are your responsibility. These charges vary by country. You should contact your local customs office for further information. International customers may be required to provide proof of credit card ownership. We will honor all manufacturer warranties on products that we sell. Warranty information can be found on the shoe warranty card. Please call us at 866-272-0099 and we will be happy to assist you. We accept payment by Visa, MasterCard, American Express, Discover, and Paypal. We also accept payment by money order and certified check. When paying by money order, certified check or with a Paypal account that is linked to a checking account (known as Paypal e-check) please remember that shipment cannot occur until after payment is received and verified. Please remember, that Paypal e-checks take 3-4 days to verify. We cannot accommodate requests for expedited shipments for these orders. All payments must be made in US currency. We take extra care to verify all International Orders. For your protection, we review the transaction for address match and credit card CVV match. We also may require you to provide proof of card ownership including a copy of your credit card statement. If you are experiencing difficulties during our checkout process, please contact us. State Sales and Use Tax Reporting. In compliance with various state sales tax laws, we collect sales tax for those states that require it based on either physical or economic nexus laws. Based on the ship-to address you specify in your order, we currently collect and remit sales taxes in North Carolina, Massachusetts and Utah (states in which we have physical nexus) and Alabama, California, Colorado, Connecticut, Hawaii, Illinois, Indiana, Kentucky, Maine, Maryland, Michigan, Minnesota, Mississippi, Nevada, New Jersey, North Dakota, Ohio, Oklahoma, Pennsylvania, Rhode Island, South Carolina, South Dakota, Tennessee, Vermont, Washington, Wisconsin, and Wyoming (states in which we have economic nexus). If we are shipping your order to any of these states, the appropriate sales taxes will be added to your order total in accordance with state and local sales tax laws and such taxes displayed in the shopping cart and on your final order confirmation. We make every effort to ensure that your transaction will be secure and safe. Under the Fair Credit Billing Act, your bank cannot hold you liable for more than $50.00 of fraudulent charges. If your bank does hold you liable for any portion of this $50.00, GolfShoesOnly.com will cover this entire liability for you, up to the full $50.00. We will cover this liability if the unauthorized use of your credit card resulted through no fault of your own from purchases made from our secure server. We use the industry standard encryption protocol (SSL) to safeguard all of your personal information. Your information cannot be accessed by any unauthorized individual. We are fully compliant with PCI requirements and our site is protected by Alert Logic®. In the event of unauthorized use of your credit card, you must first notify your credit card provider in accordance with its reporting rules and procedures.